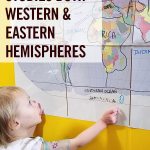 I read this article and wanted to share it with you: Why Sonlight Studies Both Western and Eastern Hemispheres https://blog.sonlight.com/western-eastern-hemispheres.html. 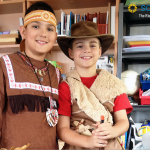 Sonlight devotes much more time to studying cultures outside of Europe and North America than most curricula do. Why? Well, I believe we should study those for whom God cares most deeply. Which turns out to be the whole world! God doesn't value me any more than a remote tribeswoman in Papua New Guinea or a successful businessman in Shanghai. He doesn't love my country more than Angola or Afghanistan. Not that he loves me less; he instead loves every individual and people group with unbounded, infinite love. That's why Sonlight students spend so much time studying the whole world. All in all, Sonlight students get four amazingly rich years of U.S. History study (since we are a U.S. company and most of our users are in the U.S.) and eight years of captivating study of the rest of the world. See all history programs here and a full scope and sequence here. In a standard American history/social studies curriculum, students begin with study of "my community," then move outward to "my state," "my country" and so on. 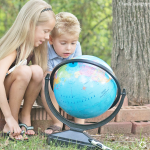 They devote 10 of 12 years—over 80% of their homeschool time—to study of the history and culture of a nation that has existed for less than 10% of recorded history and encompasses fewer than 5% of all the people in the world! We didn't want such an imbalanced education for our own children. So we balanced study of our own nation's history with study of the rest of the world. 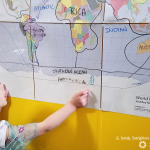 Since we want our children to feel at home in and succeed in our increasingly globalized world, they need to know about their neighbors on the other side of the planet. They need to see them as real people. At the end of the day, our focus on world history and world cultures comes back to the fact that God loves all people, including those who are different than we are. If God loves them, we should to. And if we want to love them, we should probably know a thing or two about their personal stories and their cultural heritage, history and geography. I take great comfort in the fact that the Bible says one day God will gather some to Himself from every tribe, language, people and nation (Revelation 5:9-10 and 7:9). And to think – God wants to use us to help bring others to Himself! 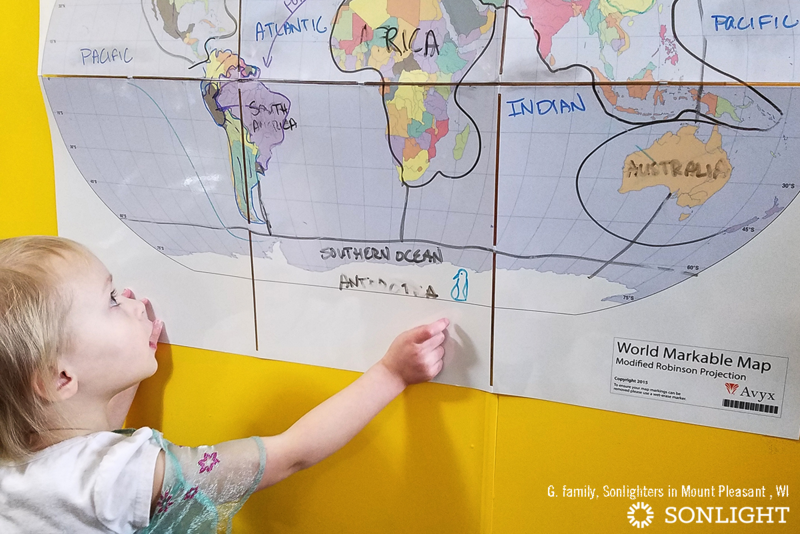 I hope that Sonlight's programs help you raise children with a heart for the world—children who realize the world is bigger than their own town, country or language. This is why you'll read so many stories woven into your curriculum that take place in other parts of the world. 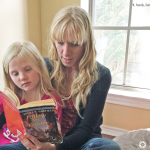 Your children get to know characters who live in cultures drastically different than their own. And in doing so, children realize that people who look different, talk differently or believe differently are still actual people who need to know Christ's love just as much as we do. For one, our World History courses are more than Western Civilization courses. They're Western and Eastern Civilization courses (though we do focus a bit more on the Western cultures in these programs). We also devote an entire year to the study of the Eastern Hemisphere in HBL F. I don't know of any other homeschool program that does this. HBL F: Eastern Hemisphere program takes you on an exciting tour of Asia, the Middle East, Africa and the South Pacific (including Australia and New Zealand). Sonlight also includes many missionary biographies—stories of people who went to other lands to share the Good News of Christ. Since we think God is going to save some from every people group, we want to highlight people who go and serve in other countries. We also encourage families to pray for people all around the world. Many of our programs include prayer guides that encourage your kids to pray with you for these people groups. Our overarching goal at Sonlight is to help you raise up your kids to have a heart for the world and equip them to do whatever God calls them to. 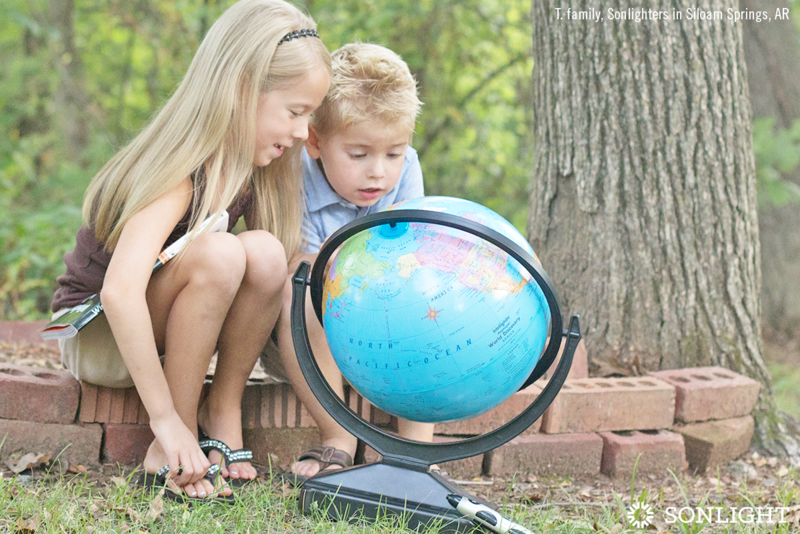 I believe learning about the whole world is an absolutely essential part of that. What is your favorite Sonlight book from another land?